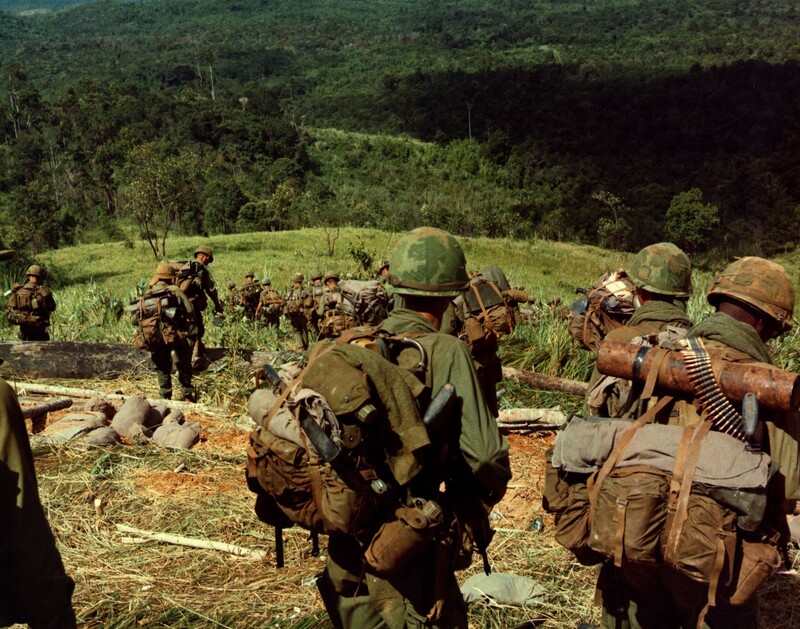 In July 1966 the first elements of the 4t h Division began to deploy to the rapidly escalating conflict in Vietnam. By September the last elements of the Division were gone. The United States Army Personnel Center, Fort Lewis, was established on 15 March 1966 to relieve the overload at the U.S. Army Personnel Center, Oakland, California. The Center consisted of an Overseas Replacement Station, a Returnee-Reassignment Station, and a Transfer Station. Originally, personnel were processed to and from Korea and Alaska only; but as the Vietnam conflict increased, the Center processed up to 50,000 personnel a month bound to and from the Orient. By 15 April 1972, when it closed, nearly two and one-half million troops had been processed through the Center. The United States Army Training Center, Infantry, Fort Lewis, was activated on 2 May 1966; and three basic training companies started the first basic combat training cycle on 11 July of that year. On 19 September, the first eight-week training cycle of advanced infantry training was begun. A Drill Sergeant’s School was established in August 1966 to produce qualified personnel to man the Training Center. It graduated 350 to 400 qualified drill instructors yearly. In September 1967 Fort Lewis celebrated its 50th birthday. On 15 January 1968, the installation became officially the United States Army Training Center, Infantry and Fort Lewis. The Center’s three brigades graduated up to 1,900 men a week from Basic Combat Training and Advanced Individual Training; and by 24 June 1972, when it officially closed, the Center had trained over 302,000 men. In June 1968 the 62nd Medical Group was transferred to Fort Lewis from Germany. The unit had a long and distinguished history throughout World War II. Since then, it has participated in Operations Desert Shield/Desert Storm in Saudi Arabia, and Operation Restore Hope in Somalia in the 1990’s.